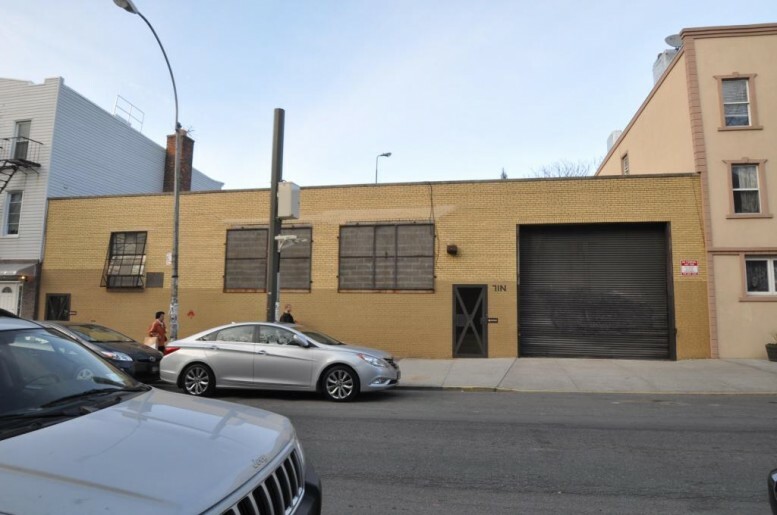 JDS Development Group and Largo Investments picked up a Williamsburg warehouse at 71 North 7th Street for $10,500,000 in March. Yesterday, plans were filed to expand the single-story building to three stories and convert it to condos. YIMBY readers will remember that JDS is also behind 111 West 57th Street, the 1,400-foot-tall, 80-story tower designed by SHoP. The 60-foot-wide supertall will rise on top of the old Steinway Hall, and it will become not only the skinniest highrise on the planet, but one of the city’s tallest buildings. However, 71 North 7th promises to be a much more modest affair. The revamped three-story structure will have just four apartments divided across 9,158 square feet of residential space, for a spacious average unit of 2,289 square feet. With condo sales in Williamsburg hovering around $1,253 a square foot, these condos could ask upwards of $3,000,000 or more. The property sits in the heart of the Northside between Kent and Wythe Avenues, a block from the waterfront. The ground floor will have 6,163 square feet of commercial space. Those shops will likely do brisk business thanks to the growing retail corridor on Kent, nearby Bushwick Inlet Park, and the slew of hotels under construction a few blocks north in Williamsburg’s manufacturing zone. Overall, the building will double in size, growing from 7,500 to 15,321 square feet. The developers are maxing out density allowed in this part of Williamsburg, where contextual zoning caps new building heights at 50 feet and mandates a FAR of 2. Largo is listed on the permits and deeds, but they’re partnering with JDS to develop the project, according to Crain’s. The duo have already paired up to build 514 West 24th Street, the green terra cotta-clad condo building that YIMBY revealed earlier this month. Jeffrey Cole Architects, headquartered in the East Village, applied for the permit. Update: A representative for JDS tells us that Largo is the lead developer on this project, and JDS is a minority partner.